So you have an email list. What now? There’s a lot of talk about list building and the five hundred ways to build your email list. And I agree. You definitely need to have a big email list if you want a consistent revenue stream and a fan following. It starts off slowly and the more you get into it, the more your list grows. 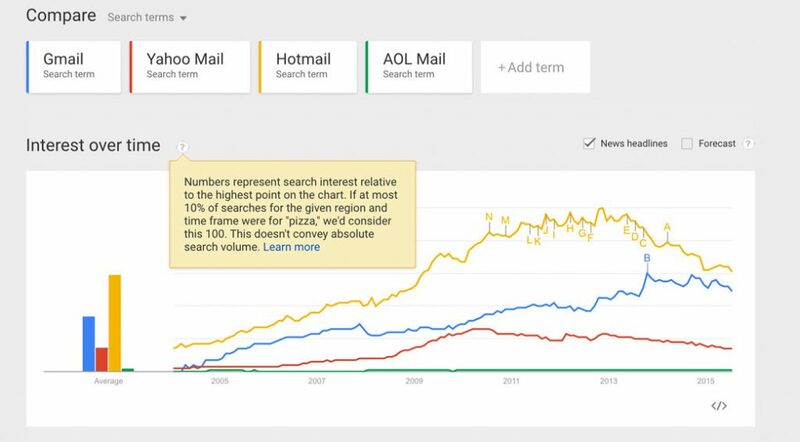 Email Marketing is the future and there’s no denying that. But I haven’t heard many people talk about list monetization and how to maximize your revenue with your existing email list. I’m here to give you ideas that you can plug and play right away and increase the revenue you generate with your email list. Before you even begin building your email list, you need to ask yourself – am I willing to SELL stuff to the people who follow me? If you can’t hear a resounding YES in your brain, then please stop reading right now. I have come across a lot of people who have email lists but all they do is send their subscribers a weekly email with the latest content on their blog – which by the way does not have any monetization in place. It’s perfectly fine to send an email about your latest and greatest blog post, but are you monetizing your blog properly? If all you have on your blog is a bunch of articles, then that’s not the right mindset. When you’re marketing online, your mindset should always have one goal: What am I selling? You have to get it deep in your mindset that the goal with your email list is to directly or indirectly generate revenue. That’s why you’re building that list in the first place. I used to have the ‘generous’ mindset up until a few years ago. I thought that if I gave my subscribers valuable content, then they would trust me and buy whatever I recommended. After weeks of sending awesome content, when I finally sent a promo email for an affiliate offer, I got a bunch of complaints and a lot of people unsubscribed. Needless to say, my EPC was hurting. That happened because my subscribers thought of me as the guy who sends good content. That’s what I was known for. But what happens when that same guy tries to sell something? Doesn’t matter if you have a hundred subscribers or a hundred thousand. If you have an email list, you have got to be pro-active about emailing it regularly. I know you won’t get many clicks when you have a few hundred subscribers. But if you build the habit of sending an email a few times a week, you will maintain that habit even when you have a large list. I’ve discovered that discipline and habits are what determines a person’s success, and it’s the same with email marketing as well. If you don’t send an email to your list regularly, then they will pretty much forget who you are and what you represent. In this age of information overload, everyone’s subscribed to multiple email lists and they get a lot of emails from a lot of people. You can’t stand out if you email your list once a month. Now I’m not asking you to spam inboxes by sending emails three times a day. But you should make it a habit to at least email your list thrice a week. That keeps your name fresh in their mind and they respond much better over time – considering you send out good emails. When you’re running an online business, things often get chaotic and it’s important to make sure you’re making the best use of your time. Creating a mailing calendar is one of the easiest ways to stay organized and effective with your mailing schedule. It works pretty much the same way you organize your posting schedule if you’re into blogging. There are several calendar apps out there which help you bring order to your online chaos and one of the best one is Google Calendar. 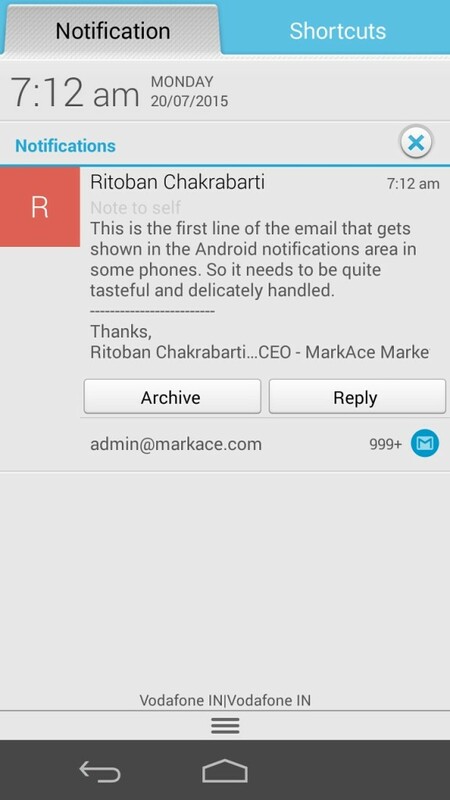 You can access it easily from your inbox and there’s also an app for that. I recommend creating a mailing schedule of at least one week in advance. You sit down on Sunday evening and plan out what you want to send to your email list the following week. If I have good Subject ideas in mind, I will write them down. Or else, I’ll just make a one-liner note of what I’m going to be emailing about. That’s all you need to do. You can go ahead and plan out your mailing schedule a month in advance if you know what your next month will be like. I prefer the weekly routine because it only takes like 5 minutes to plan out the entire week’s schedule. There has been a lot of debate on the days and times to send out an email. Some will say Weekdays at 12 PM are the best. Some will say 8 AM on Tuesday, Wednesday, and Thursday is the best. There’s a very high probability that the demographic of your email list won’t entirely be located in a single time zone. That’s where advancements in technology come handy. Autoresponder services have the feature to schedule your blast to go out at a particular date and time based on the subscriber’s time zone. So if you schedule the email for 1 PM on Monday – people in India will receive that email when it’s 1 PM Indian Standard Time and people in the UK will receive it at 1 PM GMT. So when should you schedule your emails? Truth is, it depends. I don’t plan to leave you stranded with an open ended question, so let me give the best advice possible. Every list is different and you need to find the best combination that works with your list. Step 1: Decide on the number of days a week you will send an email. Let’s say you decide: Three. Step 2: The first week, send an email on Monday, Tuesday, and Wednesday at 8 AM. Step 3: The second week, send an email on Wednesday, Thursday, and Friday at 8 AM. Step 4: The third week, send an email on Friday, Saturday and Sunday at 8 AM. Step 5: Compare the nine emails you sent out and make a note of the ‘open rate’. Once you have found out the best days – let’s say Monday, Wednesday, and Saturday work the best for you. The fourth week, send an email on these three days at 12 PM. Step 6: The fifth week, send an email again on these three days; this time at 6 PM. Within five weeks, you will have concrete proof as to which days work the best for you. One simple trick will help you rapidly increase your social following and ensure you get the best coverage possible with every mailing. All you need to do is place social icons at the end of each email and link them out to your social profiles along with a neat yet unobtrusive call to action. Doing so won’t reduce the importance of the main call-to-action in your email and also make sure that the ones who read the entire email get an option to follow you on social networks. Once a subscriber has liked your FB page and/or followed you on Twitter, then even if they miss your latest email, they still get to see what you’re up to on FB and/or Twitter. Increases your exposure like Woah! There’s plenty of discussion among copywriters on the right way to write subject lines and I can understand why. The Subject line in the most important part of your email because it will either force the reader to open your email or bury your email in the vast depths of your subscriber’s inbox. Lousy subject lines can do more harm than just not getting your emails opened. ISP’s and autoresponder services track open rates and click rates for all their users and it helps them judge who’s account is in good standing and who’s is not. An excellent open rate (of course low bounce rates and low unsubscribe rates also matter) will have an excellent account standing – and it will ensure that your emails hit your subscribers’ inbox and don’t go wandering into the dreaded Promotions tab or worse, the Spam folder. Step 1: Check your own inbox for the emails you’ve received in the last month. Make a note of the Subject lines of all the emails you opened. Step 2: Try to notice the similarities and word structure on the emails you opened vs the ones you didn’t. What made you open those emails? Step 3: Follow the three additional tips mentioned below along with your research in Step 1 and 2 to write killer subject lines. Tip #1: I’ve noticed that subject lines with numbers tend to get opened more. It breaks up the monotony of plain words and makes your message stand out. If you sent me this email, then as a reader, I would suddenly stop casually browsing my inbox and wonder for a second why you wish you hadn’t. And since the mystery would be too much to handle, I would open your email. The important part here is to make sure the email body copy is consistent with the subject line. So you could go and write why you wish you hadn’t. Tip #3: A lot of people browse their email on their phone and most phones tend to show the first line or two of the email along with the subject line in the notifications area. It’s important to make that first couple of lines consistent with the subject line, just like you would when writing a blog post. Get ’em hooked. 7. The Power Of P.S. Ever seen the movie, P.S. I Love You? If not, then go watch it right now because it literally changed my email marketing perspective overnight. A lot of marketers use a P.S. sentence after their sign-off and there’s a reason for that. People are accustomed to reading into things that aren’t part of the main narrative. Remember the old letters your grandpa used to send you? P.S. has been around for ages – so why not use it your emails? 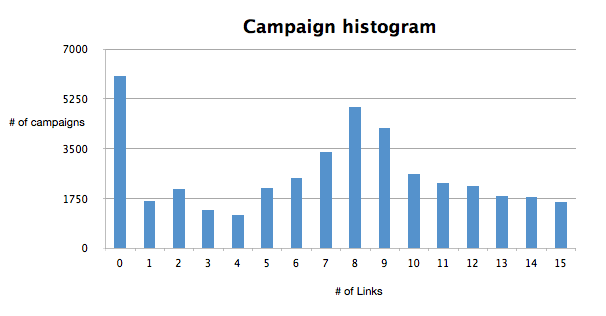 Example: In a recent email newsletter, I tracked the number of clicks for the P.S. link as well as the other links in the email. If I hadn’t put the P.S. sentence with the link inside, I would have lost out on 11.6% clicks. 8. How Many Links To Include In An Email? The actual point of the email is to get as many clicks as possible to whatever you’re promoting. That’s why a good call to action is important. While there’s no fixed rule to the number of links you need to have in an email, I typically tend to space it out on a need-to-need basis. If you have a P.S. line, then there needs to be a link in there. There should definitely be a link right above your signoff. And of course, one link in the middle of the narrative (above the fold) with a strong CTA to break up the text and get the casual readers to click your link before their attention moves on to other things. The onset of the digital age has resulted in monkey-like attention spans and it’s important to hook in your readers within seconds or lose out on potential dollars. 9. How Long Should Your Email Be? The best suggestion I can give is to mix it up. I send long emails sometimes when I’m describing a case study and want only highly engaged readers to follow through and click the one link in the email right before my signoff. I send really short emails when I want to get the highest CTR possible and don’t care if the reader is pre-sold or not. Email marketing is not SEO. Google favors detailed articles and gives you a slight ranking advantage if you write comprehensive articles. However, Google does not index email messages, nor does it rank them. So the length of the email is purely based on qualification. You need to ask yourself while composing the email. If I wanted to send an email about my newest blog post, then I would make it short and to the point with a couple of CTAs. 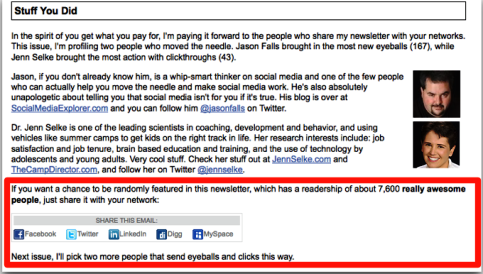 I don’t need to qualify a subscriber to read my blog post. This also works when the CTA landing page does a great job at selling so you don’t need to in your email. If I was promoting a high ticket product or announcing the launch of my own product – I would write a detailed email to weed out the most attentive readers who are actually interested in the product. In this case, I want my subscriber to be pre-sold and ready to take action when they click the links in my email. I know the easy option always seems the best one, especially with email. We all tend to write an email and try to send it as quickly as possible to our list. But wait – are you doing it correctly? Have your open rates and click rates dropped substantially over the past few weeks/months? It’s important to test your email before sending out your promos because you may not be hitting your subscriber’s inboxes. Your email might be going to their spam folder or the dreaded ‘promotions’ tab in Gmail. Email deliverability strongly determines your open rates, clicks rates, and engagement. Gmail, Yahoo Mail, Hotmail, and AOL are the four largest email providers among the English speaking audience and most of your subscribers will be enrolled in these services. So we will essentially test email deliverability. Step 1: Create two new email accounts with each of these four providers. You will now have eight new email addresses. Step 2: Create a brand new list/campaign in your autoresponder service/software and add these eight addresses to that list. The settings of that new campaign will be identical to the settings of your main email list. Step 3: Once you have written the email you want to send to your main list, send it instead to the new list. Word for word. Link for link. Step 4: Check all the eight email addresses and see if the email was hitting the inbox for all of them. If not, then there are three things you need to change: From email address, subject, links in the email. Step 5: Create different versions of the original email with the modifications I’ve mentioned above and send them out to the new list yet again. Keep doing this until you have an email that hits the inboxes of all the new email addresses. Step 6: Once you have that golden email, copy it word for word and send it exactly as it to your main email list. Chances are, you will have better open rates and click rates than ever before. 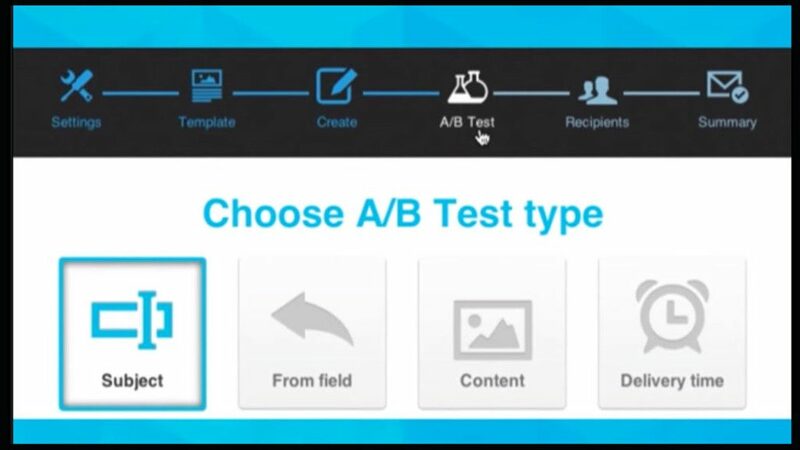 Many major autoresponder services have the capability of handing split tests with your newsletters and email promos. Bare minimum, you should split test your subject line and see which version gets better open rates. There are other things you can split test, like body copy, the length of email, and call to action. Rather than plain guesswork, it’s always better to let the numbers speak for themselves. 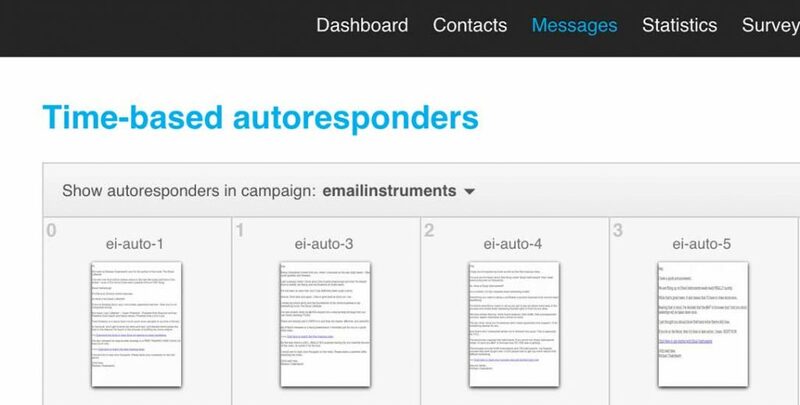 Getresponse has a pretty sweet stats and analytics interface for every newsletter and autoresponder that you send out. I tend to compare the stats of my latest email with the last three emails that I sent out and I mostly check for open rates and click rates. If I find an email did better than the others, then I open those two emails side by side and compare the difference between the two. Granted, it requires a keen and learning eye to observe what makes one email better than the other. But when you start following this process on a regular basis – you will start to see some common traits of your best-performing emails. You see, all this jargon in this post is all nice and dandy. But the fact is, every list is different and what works for me might not work for you. How will you know what works for YOUR list? By closely watching your email analytics like a hawk. But autoresponders are the best way I know to hook your new subscribers and ensure they never forget your name. The minimum I recommend is setting up a week’s worth of autoresponders which include the free giveaway that you probably promised on your opt-in page along with some promo emails combined with good content so that your subscribers actually get to know that you will be adding value to their lives. Autoresponders are easy to setup, take a few hours of your time, but once your funnel is up and running – they can prove to become an essential tool that not only helps you sell your products automatically, but also builds trust and value in just a few days. Consider it as a means to get your name imprinted in your subscriber’s mind so that any future emails you send their way – they will be more responsive and waiting to read what you’ve sent their way. If all you do is send out product promotions to your email list, they will quickly lose interest and completely stop engaging with your emails. Now I’m not saying that you keep sending awesome content day in day out with one promotion a month for good measure – because after all, this is an article on email list monetization. Why should people read your emails? That’s the million dollar question. They became a part of your list for a reason (freebie bribe, most probably). They choose to read your emails for a different reason altogether. So how do you ensure that you’re enriching your subscribers’ lives on a daily basis and still generating revenue from that list? If you were on my email list and all my emails were affiliate promos, would you be interested in reading my emails? But what if I sent you awesome content in the form of either blog posts, or videos, or webinars, or books, or case studies? 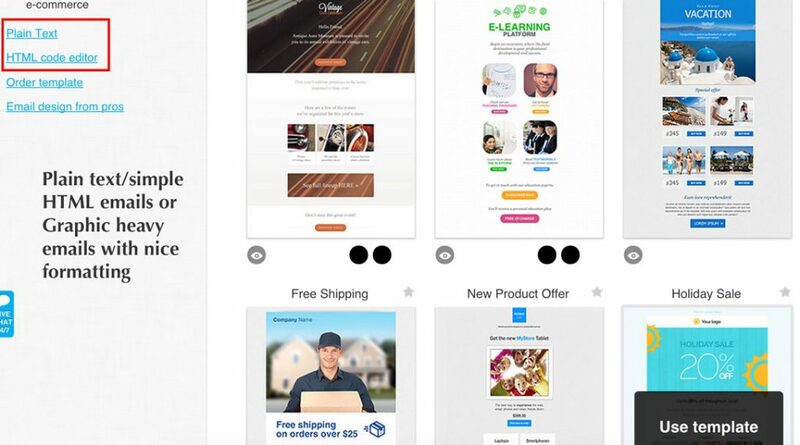 The best way to monetize your email list is by combining content with promotions. Whenever you’re promoting a product (either your own or as an affiliate), wrap up related content that your list will value around that promotion. A neat example is my Email Instruments case study email. I wrote a neat little case study on email marketing along with screenshots and reasoning of why the case study was a success and at the bottom of the email, I put in a strong CTA to buy the Email Instruments product. What I did essentially, was give my list some great content and added value to their lives. They got to see a recent case study and learn from it. And I got to sell some copies of my product. Win win you say? I received an email from Appsumo recently with a promotion for a writing software aimed at authors and content publishers, called Scrivener. Now I use Scrivener almost daily for my writing needs because I’m always working on the next book. I’ve already published two books in the last 9 months. And I’m looking to publish yet another book this year. Scrivener is extremely popular among authors and they almost never have a discount or promotion (At least none that I have heard of). 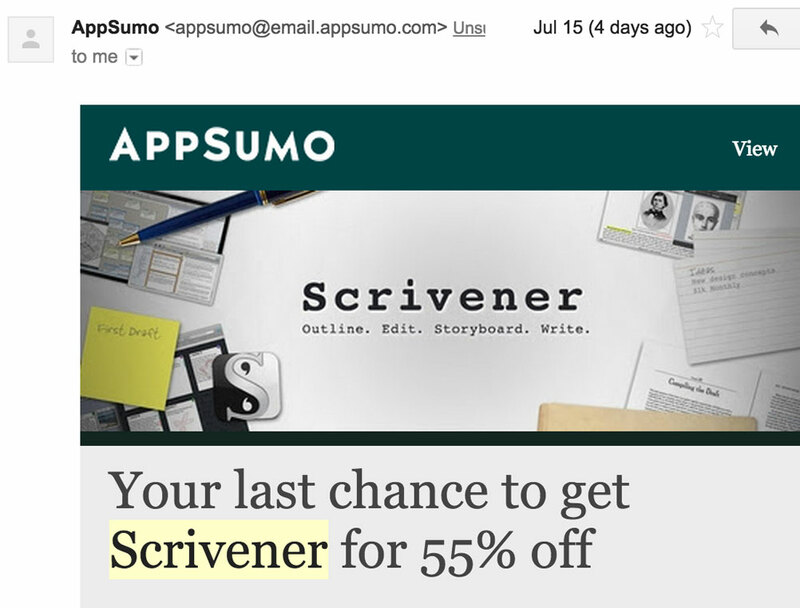 Then suddenly, I get this email from Appsumo saying that they are running an exclusive promotion that will give me Scrivener at a big discount. The only catch being it was a limited time promotion and they had limited copies to give away at the discounted rate. Now I had already purchased the product at a higher price so I started crying when I read the email (not really LOL), but imagine the happiness on those people’s faces who were waiting on the sidelines but never quite got around to buy that product. Discounts and scarcity work wonders with email promos (more on that below) and when you partner up with a popular product in your niche and combine the power of email marketing with a discount – you get to see some pretty great results. Don’t just copy paste email swipes to pass them as your own writing. You may find this hard to believe, but you develop a relationship with your list over time and they learn to recognize your writing. We all have a unique personality and that personality is depicted extensively in our writing style. Your readers connect with your personality more than you can imagine. Especially if you regularly deliver great content to your email list. Each list is different and there’s a different way to communicate with every niche. If you have an email list on stocks and investing, then the way you compose your emails will be very different, if say you had an email list on personal development. The only way to really discover what ticks with your list is to subscribe to other lists in your niche and notice the subtleties in their writing style. Then combine that knowledge along with your writing prowess and create your own style. And it’s not just about text. Graphics and email formatting also matter. Some lists may respond well to simple text emails while some lists may respond better to newsletter style emails with heavy graphics and minimal text. That’s why I recommend testing your emails and closely watching your analytics to figure out what works best with your list. When you’re solely relying on your own products and services to generate revenue, then you’re putting a lot of risk on the table. For one, your list will get bored by hearing about the same products and services being promoted every now and then. But if you send out weekly promotions as an affiliate, then you keep your list active and looking forward to receiving your next email. Especially if you follow the mantra of combining content with promotions. You can promote low ticket products (<$97 price point), by sending a simple email wrapped up with some small bonus package or review. You can promote high ticket products (>497 price point) by creating an awesome pre-selling campaign and attaching a killer bonus package. And this is the best combination – promote high ticket products during the product launch period. If there’s a hot product that everyone in your industry is promoting, then you have hordes of drooling wallets-out customers waiting in line to buy the product. That’s where you swoop in with your review, bonus, and pre-selling campaign – and experience a landslide of revenue. Your list respects your opinion. Even when you’re promoting products as an affiliate. Your honest and unbiased review of a product will go a long way in convincing your subscriber to consider buying the product you’re promoting. The thing with bonuses is that it only works when the bonuses are tightly related to the actual product they are buying. You need to put some thought into how to construct and present a nice bonus package – especially if the product is high ticket. For my List Academy bonus, I’m giving away free one-on-one consultation with me, along with unlimited access to my head coach, and also all my popular products. I’ve sold consultation in the past and people wrapped up the limited seats like bubbles. My list knows who I am and the results that I’ve achieved. They understand the value and importance of getting on a call with me personally. That’s why email lists are so important to build yourself up as an authority and someone people can rely on. Conversion rates sky-rocket when you set up an effective pre-selling campaign. I’ll let my example speak for itself. Step 1: I wrote a detailed guide on Solo Ads about a week ago and sent an email to my list asking them to read it and share it if possible. I attracted quite a few new subscribers with all the sharing involved, but more importantly – I showed my list how to build an email list using solo ads along with case studies and all the information they could possibly need. Best of all, it was all free. Step 2: Now I’m publishing this post on list monetization, which is the same topic that Anik covers in great detail in his course. I’ll be emailing my list to read this post now and also start an outreach campaign to drive more shares and eyeballs – effectively adding more new subscribers to my list. Step 3: I wrote a nice review on my blog and built up a nice bonus package. When the product will be launched on July 23rd, I’ll email my list to go check out my review of Anik Singal’s List Academy. Which will be the final straw in the hay for the ones who were waiting on the sidelines to buy the product. I’ve done elaborate pre-selling campaigns in the past by promoting pre-launches heavily and driving leads to the product owner’s list. They then take over and start warming up my leads and build up hype for launch day. 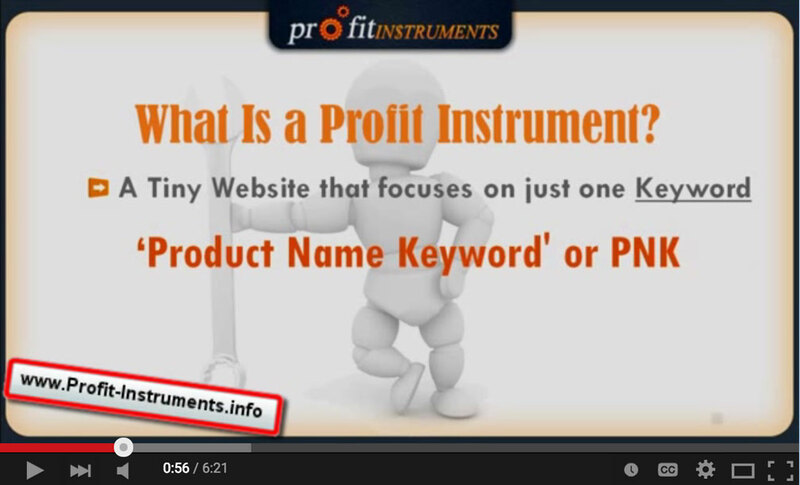 I did a huge pre-launch campaign for my Profit Instruments launch. I created three awesome training videos explaining my strategy in brief along with a great case study. Then I got affiliates to promote my opt-in page and I released one video every alternate day to that new list building up hype for the product launch. I even embedded some action points throughout the pre-launch process so that my visitors were engaged throughout the launch period. People were leaving comments, sharing the videos, tweeting about it, participating in a small contest, and also registering for the early bird list. Come launch day, I had a huge number of people who were pre-sold to such an extent that they didn’t even bother reading the sales page. Straight up buys for a $197 product. If you have an email list, you need to promote your own products. If you apply the pre-selling and bonus strategies while releasing a new product to your email list, then you’ll see amazing conversion rates. But that’s not all. Promoting your own product gives you DATA. Data that you can use to improve your funnels and also to draw other affiliates to promote your product. 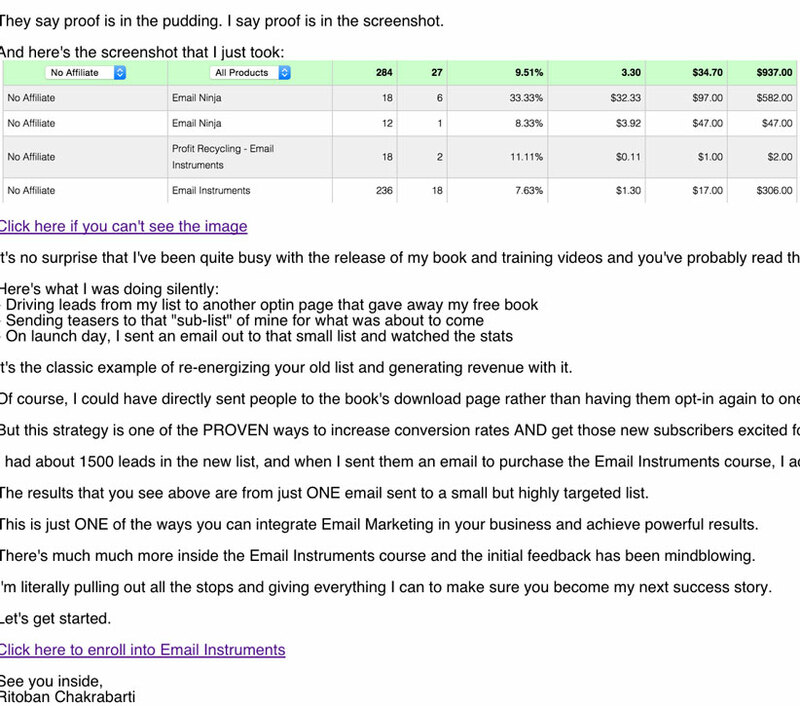 For my Email Instruments launch, I created an elaborate funnel with an opt-in page, a free book, a free training video, and a VSL along with some upsells. By promoting the first page of the funnel (the opt-in page) to my list – I had concrete numbers that helped me split test and setup the best converting opt-in page, the best CTA’s on the free book and training video, and the best version of my VSL. Also, I had some great numbers to show to my JV’s and affiliates who then got excited and promoted my product. I recently read a blog post by Neil Patel on his extremely popular Quicksprout blog where he regularly writes about internet marketing, blogging, conversion optimization, and scaling your business. He has a fluent writing style and whenever he publishes a blog post, I get a little email reminder to go check it out. And I almost always read what he has to say. So the blog post I read was about consultation and how he had generated a lot of revenue by improving other people’s businesses. In that blog post, amidst great content, I noticed a link to a PDF sales letter inviting six and seven figure businesses to avail his consultancy service. Now that’s the way to sell consultation. Selling products and selling a high-end service or consultation are quite different. When you’re selling consultation, you need to build up trust, value, and proposition. You build up trust by letting people know who you are and what you do and what you stand for. All of that can be achieved with a simple blog or even in the first few emails you send to your list. You build up value by sending high-quality content to your list regularly and build an authority status among your subscribers. It requires time, effort, and a whole lot of great content to build value. But once your subscribers start seeing you as a force to reckon with, then it becomes extremely easy to sell services or consultation. The final piece of the puzzle is bringing forth a proposal outlining the importance of your consultation, either by showing case studies of how you helped other businesses achieve their goals, or by creating a killer no-brainer deal, or both. All of this requires regular correspondence with your audience and what’s the best way to regularly talk to people? Your subscribers open and read your emails, so they are essentially giving you several valuable minutes from their busy day. It’s always nice to be thanked. They won’t come back and say ‘Welcome’, but they might just buy the product you’re promoting. Every few months, send a thank you email with the actual words ‘Thank You’ in the subject line and give your subscribers a good deal or a discount on one of your products. You can also use this strategy for promoting product launches that are offering a limited time discount. Club this with the Countdown Timer strategy mentioned below to see a barrage of sales. Freemium is certainly here to stay and you can leverage that by offering your subscribers a free trial of your product for say 14 days, and then either charge a one-off payment or a recurring subscription plan. Granted, this works if your product is positioned in a way that people would need it in their lives on a regular basis. Every product and business model is different and you need to figure out if you can put the freemium business model on any existing product or an upcoming product. We’ve already established that your list will respond the best to your own products. Now imagine you launch a brand new product and your subscribers are the first one to hear about it. So they are all excited. And then you drop the mic and announce that there’s a free trial. Expect a ton of people to get enrolled in that trial. God knows how many thousands I’ve earned by promoting webinars. I’ve done webinars where I’m the solo host, where I’ve expert panelists, and even affiliate webinars with recorded replays. The LIVE angle of webinars where your subscribers can interact with you in real time makes it a highly effective sales tool. There are companies like GotoWebinar that let you run massive webinars along with telephone conferencing features. Lately Google Hangouts has become an awesome tool for hosting live training sessions and sales pitches. Day 1: Pre-sell the webinar and grab registrations by driving email traffic to the webinar signup page. Day 2: Pre-sell the webinar from a different angle and again, the goal is to drive registrations. Day 3: Webinar day. Let’s say the webinar is at 8 PM EST. So you send an email at about 7 PM EST asking people to start joining the live call. Day 4: Embed the webinar replay on a landing page along with a strong CTA (if you’re selling something on the webinar) and send an email about 12 hours after the webinar has ended. You may send a couple more replay blasts if your list responds well to the previous emails. I’ve covered everything you need to know about solo ads in a mega guide that was published a while ago. There are several genuine marketplaces online that let you sell clicks and drive a stream of traffic buyers to you without you having to run after buyers. It’s a win-win for everyone because the marketplace takes a percentage of the buyer’s budget as a fee and you get a consistent revenue stream. If you want to get started quickly, then head over to Clickonomy and create a free account. 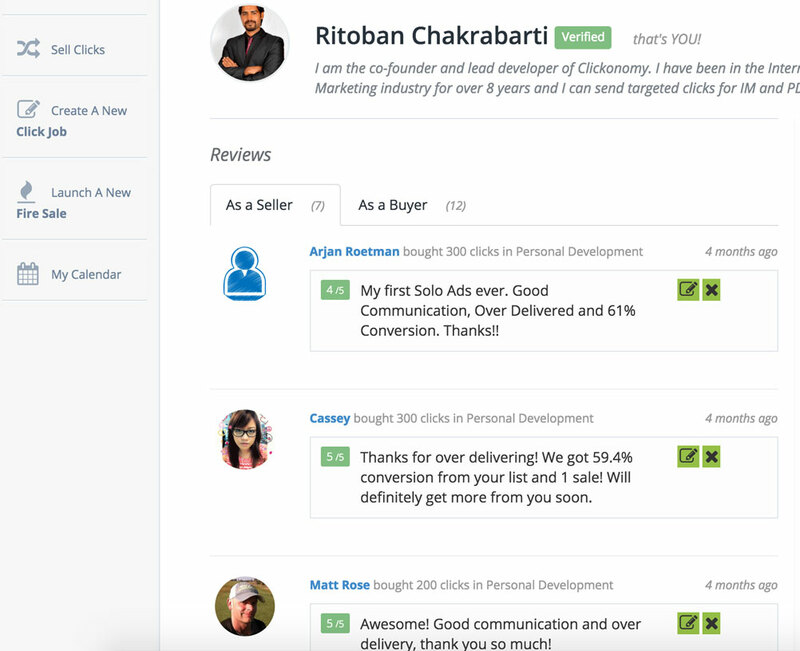 Clickonomy is a solo ad/email media marketplace that Anik Singal and I created about a year ago. It’s getting great feedback and we’re building more features into it every day. The coolest part is that both buyers and sellers are protected. Before you even start sending clicks to a buyer, we store the project’s funds in a secure internal wallet. As soon as you deliver clicks, the buyer releases funds to you. And you get a weekly payout. We’re building a cool algorithm for displaying sellers in our marketplace which shows the most active and well-reviewed sellers on top. So, if you’re delivering good clicks consistently, you will be shown higher up in the seller listings which gets you more buyers. And BTW, we already have over 8000 active buyers hungry for clicks. The average cost per click in Clickonomy is about 80 cents currently. So even if you manage to sell like 500 clicks a day, that gets you about $320 a day in pure profit (after we take our fees). I’ve personally sold clicks on Clickonomy, and it’s worked great for me so far. But my business model has changed quite a lot in the last few months and I’m not currently selling there – but you can definitely get started right away. This is a screenshot of a part of my profile page on Clickonomy with reviews from buyers who have bought clicks from me. We are adding more cool features to this profile page which will be live by the end of July. There’s a neat little tool I discovered a few days ago, called Timer Magic. Here’s the thing: Scarcity sells. The price keeps increasing every hour/day. Everyone wants to get the best deal possible, and a countdown timer is one of the best ways to facilitate scarcity. I’m not saying you put in a timer with everything you’re selling. 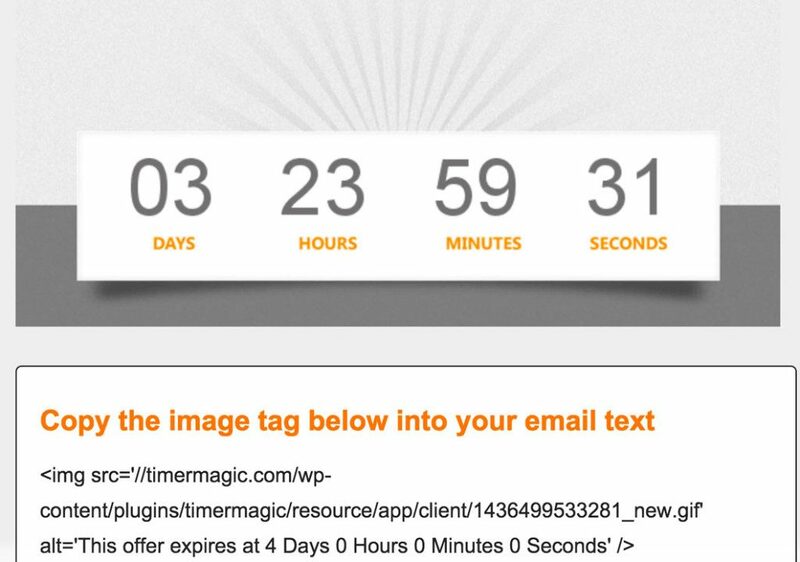 But if there’s a genuine scarcity, then that tool I was talking about will let you embed countdown timers right inside the emails you send to your list. If you apply only a few of the strategies that I’ve presented above, then you can easily expect your current revenues to at least double in the coming weeks. As I’ve mentioned above, each email list is different and you need to understand how your list responds to your emails and then grow from there. I would love to hear your thoughts and if you have any list monetization strategy that I may have missed out on. Please comment below and let me know. « How To Build An Email List With WordPress In 15 MINUTES.